Whatever happened to the old school Disney channel shows like “That So Raven” & “Kim Possible” and “Even Stevens?” Now we have shows that really aren’t so interesting like “Dog With A Blog” which is about a family that owns a talking dog, but only the kids can hear him. 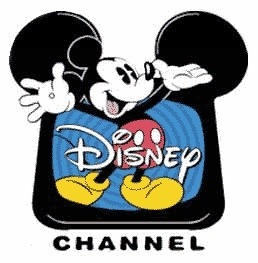 Disney Channel needs to bring back the old fun shows. Most of the shows on Disney Channel now contain more mature content. For example, when they use to show “Even Stevens” there was no kissing and making out, but now they have scenes of teens making out and kissing one another. That’s not right, most of the people who watch Disney Channel are little kids so what are they showing them!? Disney needs to remember who their audience is. Old TV shows on Disney Channel like “That’s So Raven,” which was about a sidekick who would help her friends and family when she had a vision, were more entertaining. Now there are some shows on Disney Channel that are just plan creepy. Many Disney stars are actually really interesting. Many of them help NGOs all over the world. Because of this the Disney Channel has the power to build awareness among kids about how they can help the world and other people around them, which is a good thing because children should learn the importance of helping others.